Integratore per mantenimento di capelli sani - ESI S.p.A. This dietary supplement is made with Biotinax (a patented formula that consists of Biotin, Methionine and Cystine), Vitamins and Minerals. 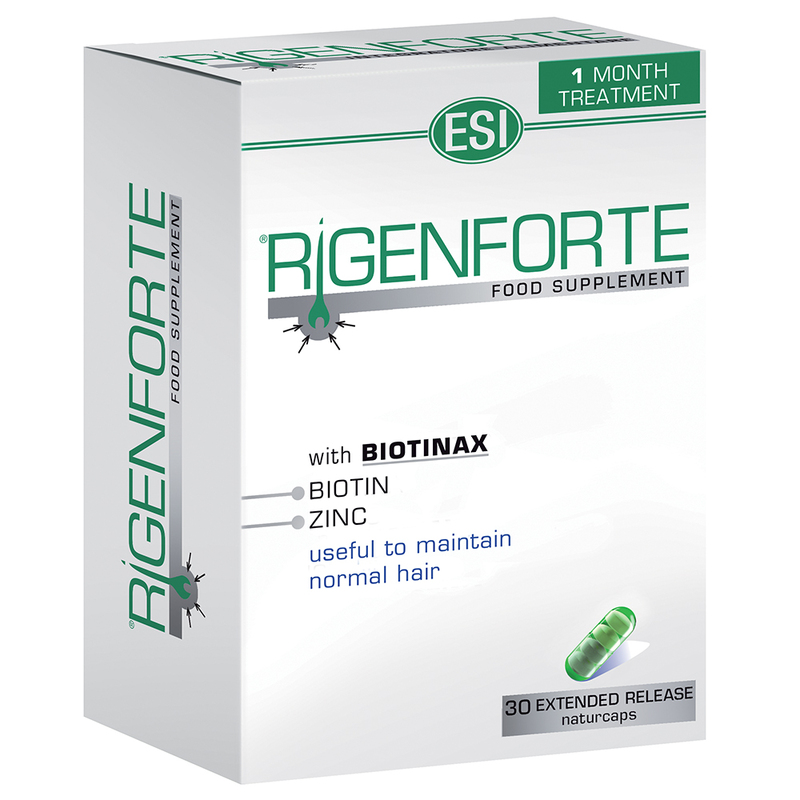 Biotin and Selenium help to maintain the hair normal health. Zinc helps to promote healthy hair and nails, and copper helps to maintain normal hair pigmentation. Vitamin E protects the cells from oxidative stress. Biphasic Slow Release Formula Naturcaps were created with patented technology that was invented by ESI. The box contains 4 small but very special and effective naturcap tablets. This slow release formula makes this product different in that the gradual release of its nutrients allow for the body to take full advantage of benefits these tablets have to offer. Naturcaps are made from a vegetable fiber obtained from fermented tapioca, therefore, they’re completely natural and contain no artificial colors; they’re easy to digest, and completely suitable for vegans and vegetarians. Take 1 naturcap daily. Dilute it in plenty of water. Warnings: Keep out of the reach of children under the age of 3. Do not exceed the daily recommended dosage. Supplements should not substitute a balanced diet and a healthy lifestyle.